Everyone knows I’m pregnant the first meal out when I forgo the cocktail. It’s a fair enough vice to give up for the health of my little one, but I’ll admit there are times I’d love a drink. 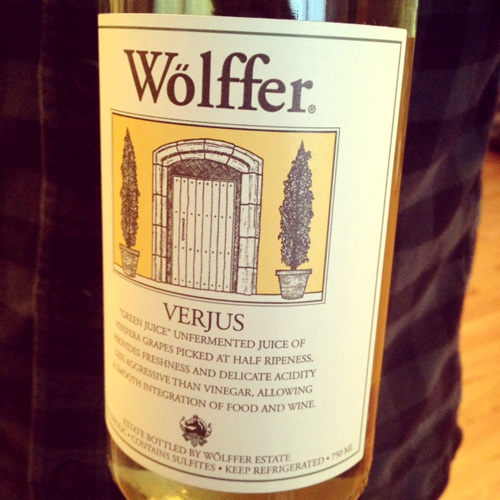 Dead friends Astrid and Marcus, sensitive to this dilemma, bought me a wonderful bottle of Wolffer Verjus. 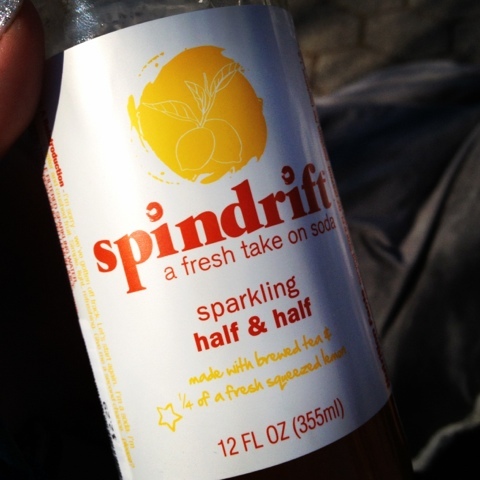 This non alcoholic beverage, which is a lovely mixed with sparkling water, and resembles a dry white wine makes me feel like I’m enjoying a spritzer along with my wine guzzling friends. 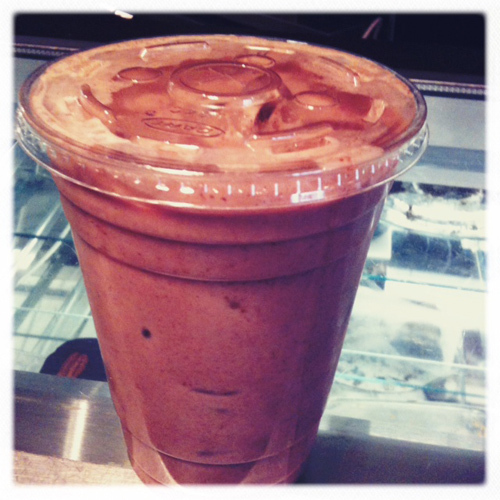 An iced hot chocolate is more than an oxymoron – it’s a very special thing. It’s the rich. snooty older cousin to chocolate milk and Cocoa Bar in Park Slope mixes a mean one with chunky high end chocolate and creamy whole milk. The pleasant cafe also offered lots of cakes and other chocolate treats. Innovation in American companies belongs to the little guys. 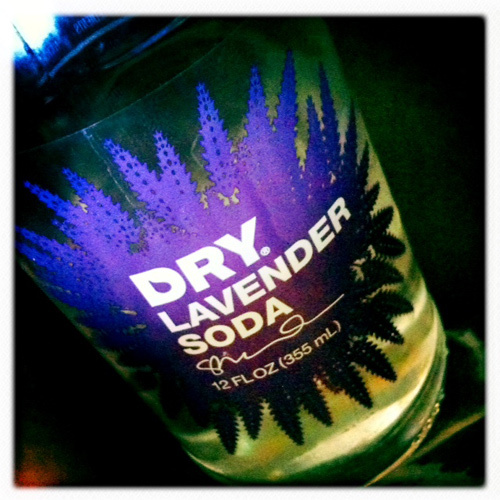 While Pepsi and Coke are fighting the fact that soda is bad for us with lobbyists, rather than offering alternatives, Dry has re-imagined soda and made it better for you, better tasting, and all natural. Like many of you, cutting soda out of my life was an easy healthy step but if I were to indulge in a bubbly drink – and now that summer’s almost here, it does sound enticing – this low calorie Lavender Soda is perfect. 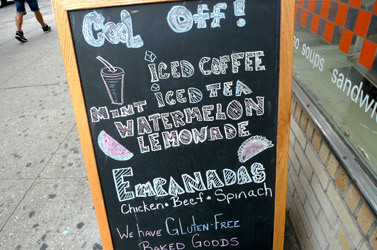 I’d love to try their other flavors as well: Lemongrass, Blood Orange, Rhubarb, Juniper Berry, Vanilla Bean and Cucumber. I can only imagine that these also make incredible cocktails. I tried a bottle in Colorado but found that you can purchase several places in NY including Marlow and Sons, Fairway and Whole Foods. 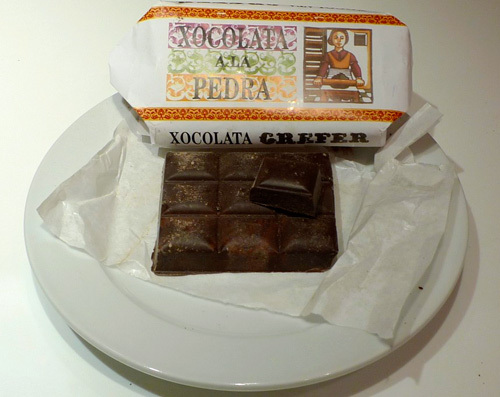 This thick hunk of Xocolata a la Pedra came home with us from Spain. We doled out chunks to eat like candy bars and I was instantly in love with the grainy rich deliciousness. We both agreed it tasted like hot cocoa powder condensed into a block, but not any old, bland Swiss Miss kind. Well, after a little bit of research, I found out it tasted like that because that’s exactly what it is – condensed hot chocolate. Oh, turistas idiotas! 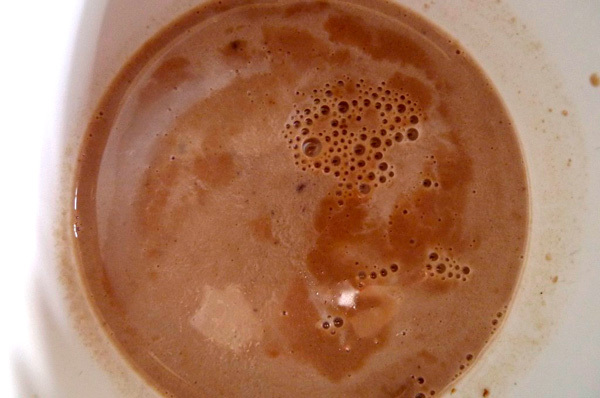 So, I tried it the correct way – as a hot beverage: Simply heat a block in a sauce pan with a little milk and add more milk as it melts. Without more precise instructions, I just eyeballed the amount of milk and under did it a bit but am happy to have a rich hot cocoa for the winter season that tastes this good. Though, to be honest, I actually most prefer it the way I first tried it – nibbled raw – incorrectly or not. Wish I had grabbed a few more bars because it sadly doesn’t seem to be something I can purchase easily in the states. Smoothies are great. You get your creamy, your protein (we add vanilla protein powder) and your fruits with little effort. 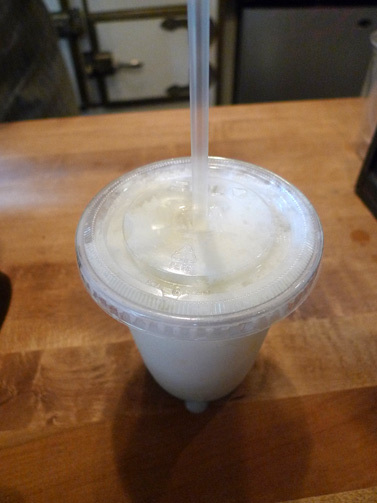 This week we’ve been enjoying a simple Banana Smoothie. The key is one banana to one cup of milk, no more, no less. 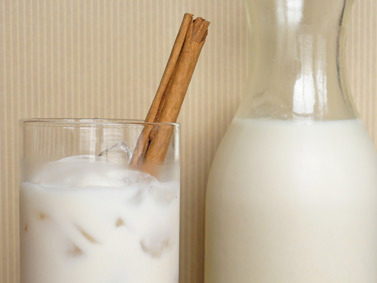 We drank all the left over Horchata before I remembered to take a photo, so I must give credit for this lovely photo to Food People Want. 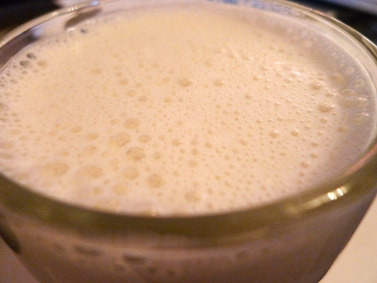 I must give thanks and credit to Andriana and Krista (of radiogastronomy) for bringing homemade version of the delightful, refreshing, milky, spiced beverage to my party. It was actually my first encounter with the Latin drink, that matches perfectly with the spice of Mexican food. 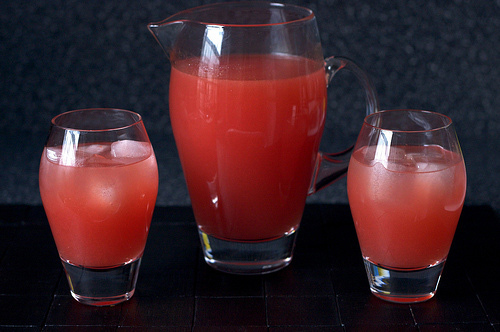 Versions of the drink go back to ancient times and have made their way all across the world. 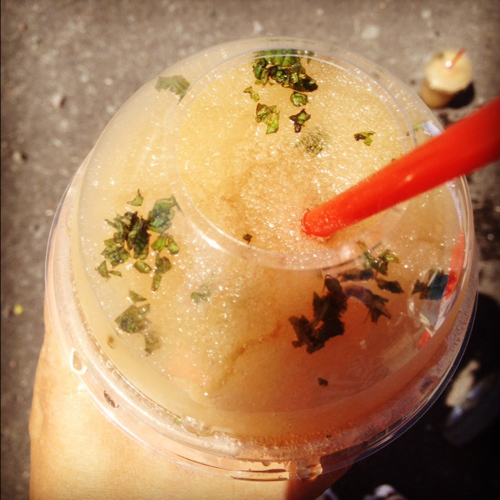 The addition of a 7-11 to Greenpoint meant only one delicious thing to me – coke slurpees!! These frozen indulgences bring me back to my adolescence when mom would drive my sister and I to the 7-11 on 8th street in Colorado after school. It was a pleasure to be able to walk up the street for this long lost treat and it’s a yummy as I remembered. 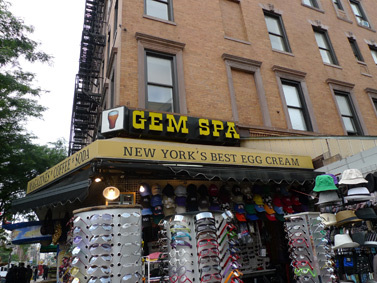 Gem Spa, a corner over-sized bodega, cluttered with cheap sunglasses and trinkets doesn’t strike one instantly as the very best place to find anything, but they boast, in their signage at least, to have the best egg cream in New York. 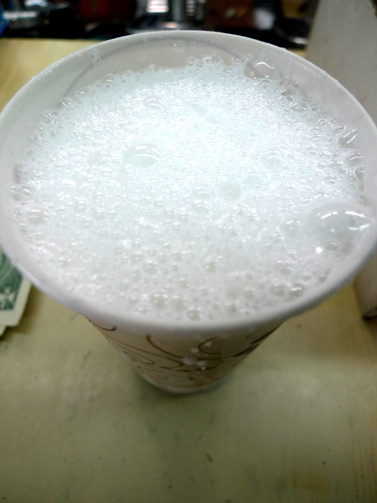 Having not tested every egg cream out there, but having had my share of separated ones that have that strange tongue coating plastic-ness caused by incorrect balance of ingredients. I can say that this one, offered in a paper cup with no fanfare or even a smile is pretty excellent. 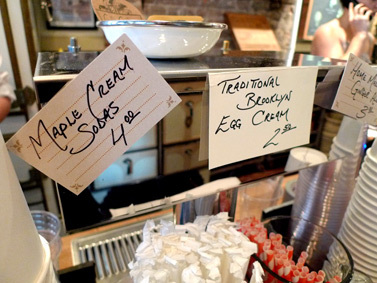 I’d definitely go back to get an egg cream fix- Brooklyn (vanilla) style of course. 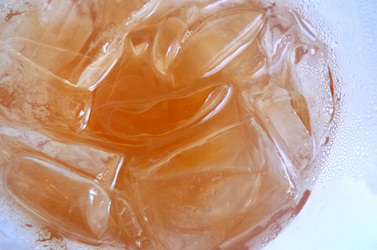 It’s such a temperamental though simple drink that you want to make sure you get one that’s made right, plus Gem Spa’s a bit of old New York and one of the few places left to get the native beverage. Radish is a fairly new charming Neo-olde-timey food store that popped up pretty quickly in the old home of no good cupcakes, Pennylicks. The comforting space features a really nice staff, lots of local imported food specialities and home made take home foods like meatballs and pasta salads. However I was drawn in by a sign that read “Maple Cream Soda”. Just the idea was mesmerizing, and the reality is quite delicious. 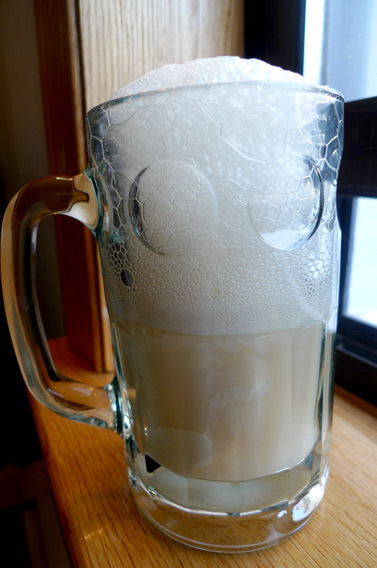 They use soda from their own tap and the cream is a handmade mixture that’s sweet and thick. 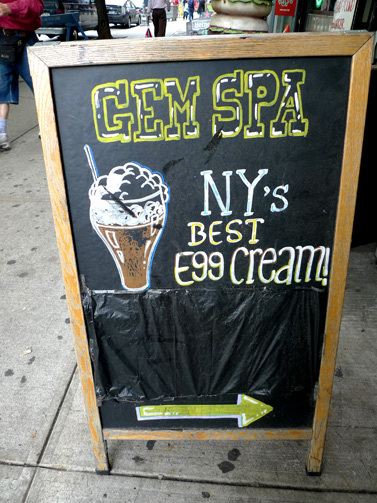 It’s like a newfangled egg cream and worth a visit to try. Fair warning, I have to let you know that the adjective “flowery” is not a bad thing to me when it comes to food and drink. 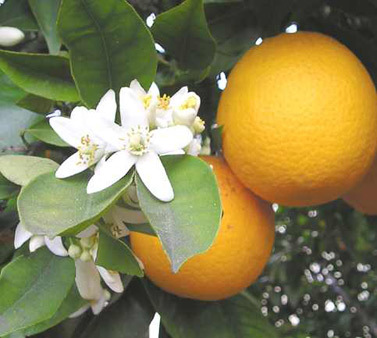 It tastes like a perfume, i am probably right as rain with it. 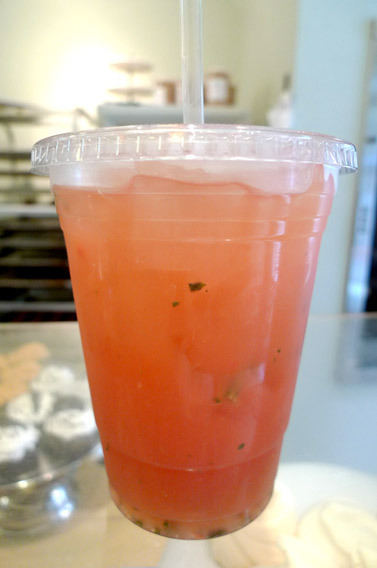 So, yes, Hampton Chutney Co’s Orange Blossom Lemonade is flowery but in my opinion, also incredibly amazing and lovely to drink any day the sun is out. Genius!! 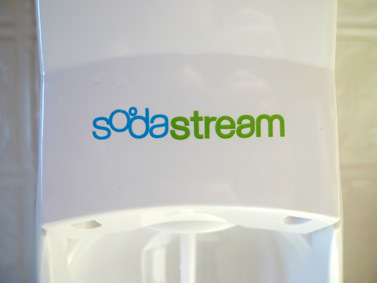 It seemed like all my friends had some sort seltzer maker that I would gaze at with envy and now I’m keeping up with the Joneses and with my very own Soda Stream. 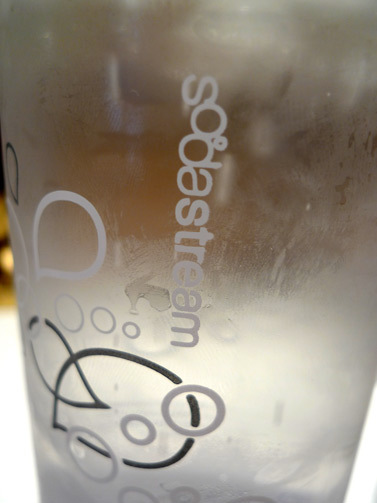 It’s easy to use, if a bit loud, and makes fizzy perfect seltzer every time. I am in love with a product that may very well be the fondue fad of our time.